The men’s volleyball team is coming off of two consecutive conference wins the week of March 18. The Lasers clinched a 3-2 win on Tuesday, March 19 in the fifth match against Johnson & Wales University ( JWU). On Thursday, March 21, they took down Colby-Sawyer 3-0, sweeping. The Lasers have been on the move with a 12-12 overall record. Men’s volleyball and lacrosse teams hosted conference games in honor of the annual White Ribbon Campaign collaboration with Professor Karin Raye. Winter sports are about halfway through their respective seasons. Men’s basketball is currently in 4th place in the GNAC looking towards the playoffs. Women’s basketball recently won their senior day game against St. Joseph’s (Conn.) 68-42. Indoor track & field recently competed in the 2018 Boston University John Thomas Terrier Indoor Invitational. Men’s volleyball is looking towards their first conference game of the season. 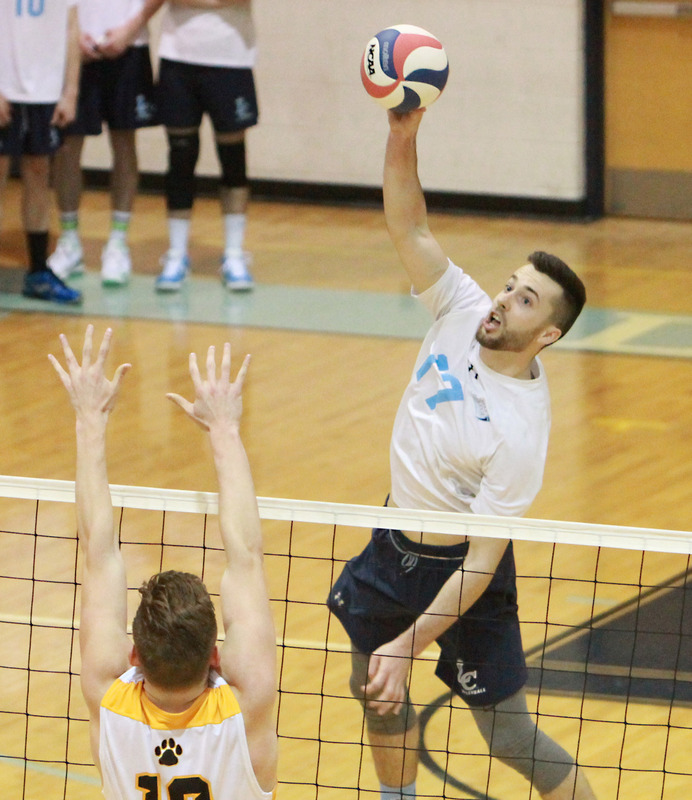 “1851 Chronicle” editor Tristan Davis chats with Andrew Glenn of the men’s volleyball team about fashion, animals, and his new Lasell College program milestone. Background music is “Dear Madison” by Explosions in the Sky. After bringing home the GNAC Championship for the first time in program history last April, the men’s volleyball team is looking to keep it a tradition and win again this year. They currently stand at 8-4 (4-0 in the GNAC). Being able to complete someone else’s sentences is a sign of being in sync. This can be said for the men’s volleyball team. As a unified team, they will be able to exceed expectations this year to win the Great Northeast Athletic Confer- ence (GNAC) championship.